What happens if I need access to my money early? You can withdraw your money from savings or upcoming scheduled commitments at any time. Any withdrawals made before 1pm on a working day will reach your current account on the same day, otherwise it will be the next working day. 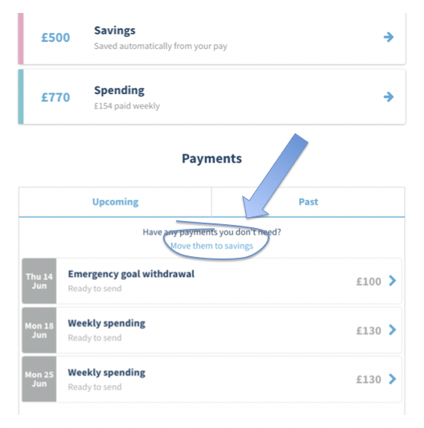 To withdraw from upcoming scheduled commitments, click the "move them to savings" link at the top of the payments section (as shown below), and you can choose to move any of your upcoming commitments to savings. 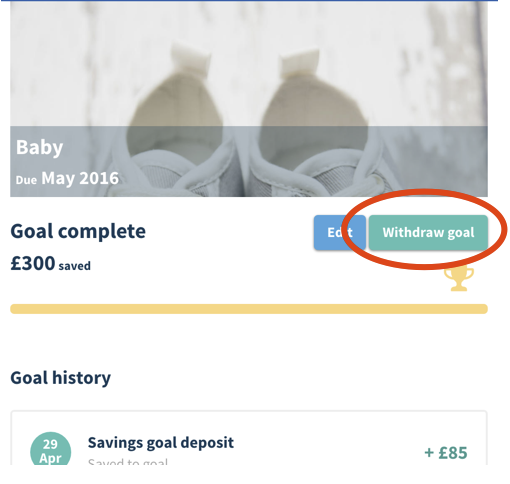 Once money has been moved to your savings, you can either keep the money saved - or choose to withdraw it into your current account.